I did not have plan to make it as a post, so I did not take raw potato slices photo. 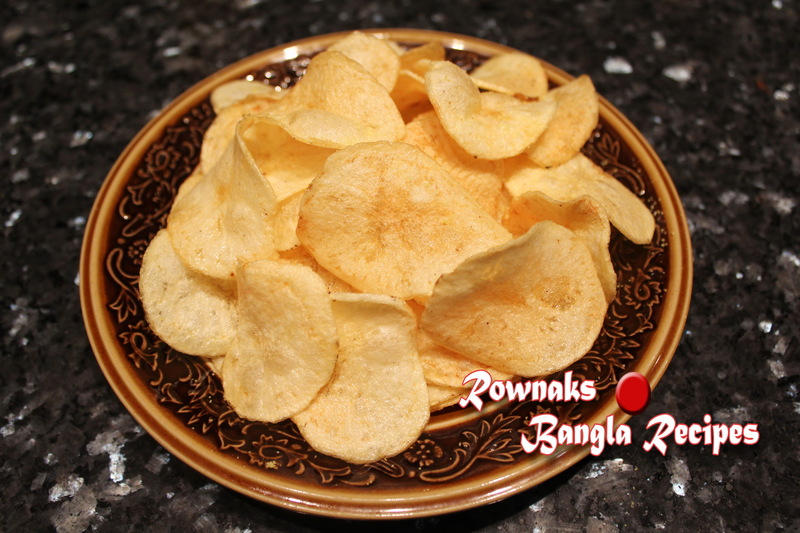 As usual I tried to do use few ingredients and easiest process, these chips tastes great. Salt vinegar flavour : add 2 tablespoons vinegar in the water your soaking potato slices. Tomato flavour: add 2 tablespoons tomato sauce in the water your soaking potato slices. Chicken flavour: add 2 chicken stock cubes in the water your soaking potato slices. You can use chicken salt and any other readymade chip spice. Tasting salt is vastly used in chip, but I did not use it. If you want to add tasting salt, it’s up to you. Peeling potato is optional here and cut potatoes into thin slices. Drain water and spread potato slices over paper towel to absorb as much water as you can from the potato slices. We do not need any water at all. Heat oil on medium heat and fry potato slices in a batch (batch size really depends on big your pot is – just make sure that the slices do not stick to each other and all are under the oil. Fry until light golden brown. Drain on paper towel. 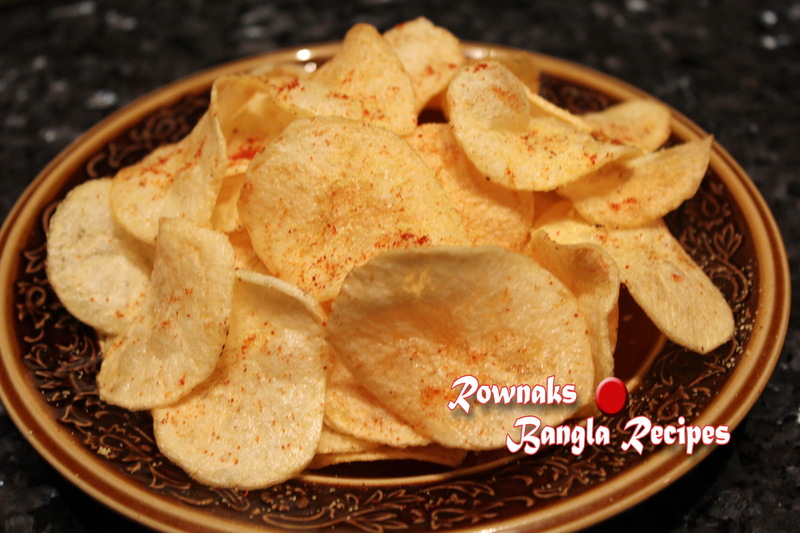 Mix all spices together and sprinkle over potato chip and enjoy homemade potato chips. Slice evenly and absorb water from potato slice are most important.